Most Porsche fans I talk to spend a lot of time "browsing". They look through classifieds, they look on eBay, they peruse various forums, everyone always seems to be looking for their next Porsche. I know I'm guilty of doing that. I've been after a 996 Turbo Cab and a nice driver 914 for quite while. In fact, I had a deposit on a 996 Turbo Cab earlier in the year before that deal went sideways after a few surprises were brought to light during the PPI. With all the browsing I've been doing lately and the current state of the Porsche market it got me to thinking. What model Porsche will be the next big collectors item? The air cooled market has shot past the moon and is on its way to another galaxy. The 993 Turbo S is already a $500,000+ car depending on condition and the "regular" 993 Turbo routinely brings a quarter of a million. Hell, we saw a 993 C4S with 40k miles on it sell for over $120k just last month (good for us, bad for those looking). Even the much maligned 914 is having a revival. Porsches that were once selling in low 4 digit range now have asking prices in the low teens into the mid twenties, and that's just for the four cylinder versions (never mind a 914-6). With the market as hot as it is right now, where does your everyday Porsche enthusiast (and want-to-be collector turn)? A lot of people say the 996 is the way to go, especially the Turbo. We tend to agree with them. For $35 to $45k you can get a hell of an example with none of the IMS issues that most people associate with the 996. Making 415 horsepower, this is an all-wheel drive 911 that has a top speed of 190 mph and a zero to 60 time hovering right around 4 seconds. It's not 918 fast, but that's damn respectable for a car that's at least a decade old and more. What about Porsche's front-engined cars? The 944? 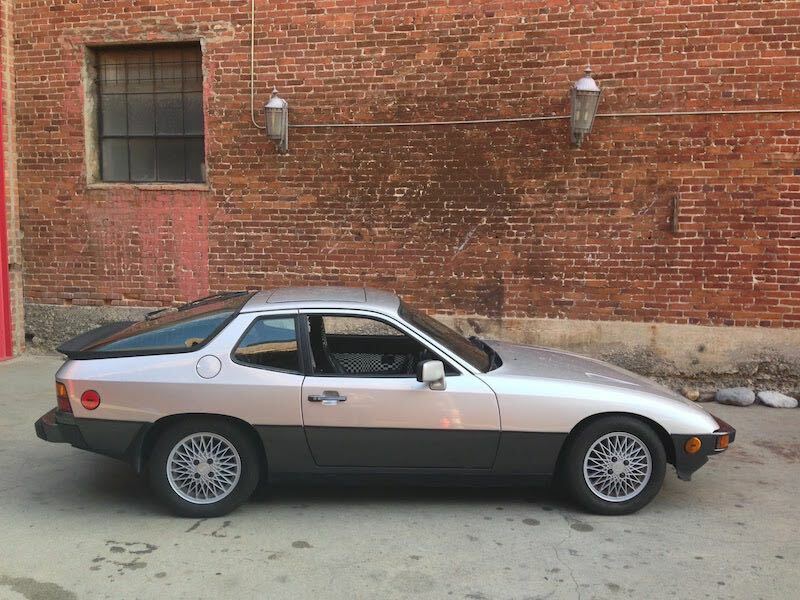 The 924 (Magnus Walker bought one recently)? The 968? How about the 928? The 928 GTS already commands some fairly significant dollars, but "lesser" versions can still be had at bargain basement prices. The Cayman GT4 was released just a few month ago and has already reached legendary status. Will they start selling for more than sticker sooner vs. later? The 918 is already commanding higher than sticker prices with gently used versions showing asking prices of $1.25MM to $1.50MM. Look what's happened to the Carrera GT market. Three years ago you couldn't give one away for $300,000. Today, we're seeing nice example trade in the $750,000 to $850,000 range. Insanity! Where does the market go from here? Some say the 997 GT3 is where to put your money, but that's still a $100k+ proposition at best. What say you? Which Porsche, from what era (old or new) is the next to shoot to the moon? Let us know what you think in the comments below. I'd love to get a discussion going on this to hear others opinions. 996 C4S, 996 40th, GT2 and GT3 I think are all good candidates, in addition to the 996 Turbo You mentioned. Also as a side note, many know to factor in getting the IMS and RMS done and just get on with it. We need to stop making this IMS and RMS issue such a distraction, we all know it’s there, just fix it and enjoy the car. Quit worrying about IMS and RMS and go for a 996 Turbo coupe with the Mezger engine- and six speed, preferably a 2003– with the stiffened chassis and upgraded interior. Several European Porsche magazines have identified the 996 Turbo as the next great investment, particularly since the 993 s are off the chart. I bought a 2003 Porsche Carrera 4S, stick shift, with the Turbo body style. . Love the fat bat wings, big lights in the back, and yes, I like the headlights. It’s got 315 horse power, but has pick up like a beast. I get compliments all the time. The new Porsche autos have small lights in the rear and faux shift sticks. It’s jut not a Porsche to me. Plus I have heard, Porsche is thinking about eliminating the manual stick shift. That’s a deal breaker for me, and a boring Porsche. Give me a raw Porsche with a manual shift stick where I drive the car, and the car doesn’t drive me. I want a RAW PORSCHE! If you want a RAW PORSCHE i´d recommend a Boxster Spyder 987.2,2011/12.I recently bought one and just love it,it´s a roadster and you really feel connected to the machine,engine,road,sound,etc.The car performs exelent in the track.just an idea. New 2016 boxster spyder will go up in value very soon , fact is you have a hard time finding one below list price on the used car market if you can find one at all !! 997 6-Speed Turbo. Can only get PDK now. 996 Turbo is the sleeper-prices rising even though the 993 prices seem to soften. I’d love to say the early 986 Boxsters, that are now officially a “classic,” but they seem to be in the tank that 914’s were in for several years. I’d also have to go with the 996 and 997 Turbo. The Turbos, GT3 and GT2s will always command the highest prices, but the 996s are the most underrated and currently undervalued 911s. Now that the IMS issues have resolved and are nothing more than a maintenance item (there’s even a permanent repair), these cars now fall in line with previous generation 911s which also had serious inherent engine design flaws but were also corrected within Porsche or through the aftermarket. The early 996s are the first generation of water-cooled cars without all the electronic driver aids, a genuinely working air conditioner, and have the lowest maintenance costs. Additionally, the 996s have more horsepower and better handling than previous generations 911s providing a more genuine 911 experience. Aesthetics on the headlight, fried eggs or borrowed from the turbo due to consumer pressure are irrelevant. The evidence is there. The negative internet chatter has been dying down the past year. Genuine IMS issues seem to only surface for those living under rocks. It’s a no-brainer. +1 Rod, my thoughts exactly. The 40th and C4S are worth collection as well. I have to agree Rod, thanks for commenting! IMS/RMS issues usually seem to strike at low miles and with limp usage as these cars are meant to be driven with some enthusiasm. Maintenance done properly per the factory specs is also vital. The water cooled cars are a pleasure in hot weather, and don’t seep oil like the air cooled cars seem to do. The 2003 is the last 996 with an oil dipstick, but also has the electronic readout. Prospective Porsche owners could do a lot worse. I would think that the Porsche 996 Gt3 Mk 1 and Mk2 would be right up there especially the Clubsport versions. A raw Porsche experience with that wonderful Mezger engine and very few electronic aids. The 987 Boxster Spyder for its sensationl look and a magic driving experience.especially in manual transmission form. Light and nimble and a quirky manual lift off soft top a very beautiful rounded look in keeping with the earlier Porsche look. Both these cars were very limited in production numbers. for me it has to be the 997 GT2. the RS at the top of the heap but these are as rare as hen’s teeth, so go for the regular GT2. Limited numbers, Mezger engine, manual transmission and a more traditional Porsche headlight set up. this one will last the test of time. prices of these cars have already started to climb – soon they will be past the purchase price ???? Anthony, i think you are spot on, sir. In the current market, everything that is truly desirable and worth a poster on the wall (GT, European RS models, and 993’s) are probably more than fully priced. Models from the 60’s and 70’s are slow to move of the lot at present – even in Europe. 991’s are too young and simply not very unique. The 997 GT2 and RS versions are unique and over time they should be maintaining their value. The 996 is an ugly undesired duck that will never become a collectible. It is a very good car compared to many other vehicles ever built, but it will never ascent to be a real 911 collectible. If the 996 is the 911 you can afford, buy it and drive it. It will make you very happy. However, do not speculate on making your money back and don’t borrow money to buy it in hope for price appreciation. Personally, i cannot see that happen and no true Porsche enthusiast, garage owner or mechanic i speak to would have a different view. Hoffers, I hope you are wrong! We joined the Porsche family in early 2011. I was hoping to find a 930 and no matter how much money I could justified they continued to stay ahead of my ability to buy one. I looked for other options. Today my wife and I own an ’86-951 (944 turbo), a matched set of 968’s and a 996 turbo. After reading your article I think we are on the same page. I thing the beautiful 996 Targa will be an item very soon. Especially now that the glass top Targa is no longer in production. I bought mine 8 years ago and they make up less than 3% of the 996 production. What I like about the 996 vs the 997 is the rear drive. It is more like the original 911’s in that respect and that rear hatch is quite convenient. I recently purchased a 2008 997 turbo with 14K miles. I’ve owned BMW, Audi, and Mercedes, all good cars but NOTHING like this! Why any well heeled enthusiast that is into German performance would choose anything else is beyond me. I’m an older guy, always loved Hi-Po cars, and am not criticizing American brands, as some are VERY good, but fit and finish are important to me. If it’s in your budget, get a 911 Turbo, ANY 911 Turbo, with reasonable miles and in top shape. You’ll be glad that you did! I couldn’t agree with you more. I just purchased an ’07 turbo and quite delighted. Having owned an ’85 930, ’86 Careera and a ’95 993, was blown away by the advancement of technology and performance. I feel in love with ’07 turbo the minute I drove it. Recently purchased a 2008 997 Turbo with 14k miles. Thrilling car, and as an older man, the best that I’ve owned! I’ve had C63 AMG, M3, S4, all great cars, but none compare! Buy any 911 Turbo, you’ll be glad! 996 Turbo is starting to take off. You just can’t beat the car for that money. it is rock solid and mine, which I have had for 9 years, just doesn’t break. I have had 78 Porsches since my first(’55 Continental Coupe 1500S) bought in my senior year of High School in 1964.. I have literally had every model except the 924 and 928. The Porsche market of late (especially) has been very good to me. I think there is a bubble in some of the models like the 356B and the 912. I just picked up a twin plug 914-6 race prepared car with a good track history. It really rips! I believe these Porsches are taking the launch pad. We read with interest your story on the next big 911 investment, and agree with your assessment that it might well be a 996 Turbo. I sold an 88 911 turbo with 28,000 original miles in new condition ( significant appreciation)and then went on a six month hunt for a pristine, all original, low mileage 996 Turbo. I found a seal gray second owner beauty, without a scratch or nick. The PPI showed a need for two items- windshield wipers and hood struts. I drove it home to Tucson and could not be more pleased. My point is that you and several other writers ( Total 911, 911 & Porsche World, GT Porsche) have concluded that the 996 Turbo is the next buy. What seems to be missing, however, is evidence of sales prices that would confirm that belief. If you could report that. I would vote for you for President. I can’t imagine the 996 GT2 and GT3 won’t go up even more than they already have. These are the last of the pure drivers cars that are very raw and came with no nannies. 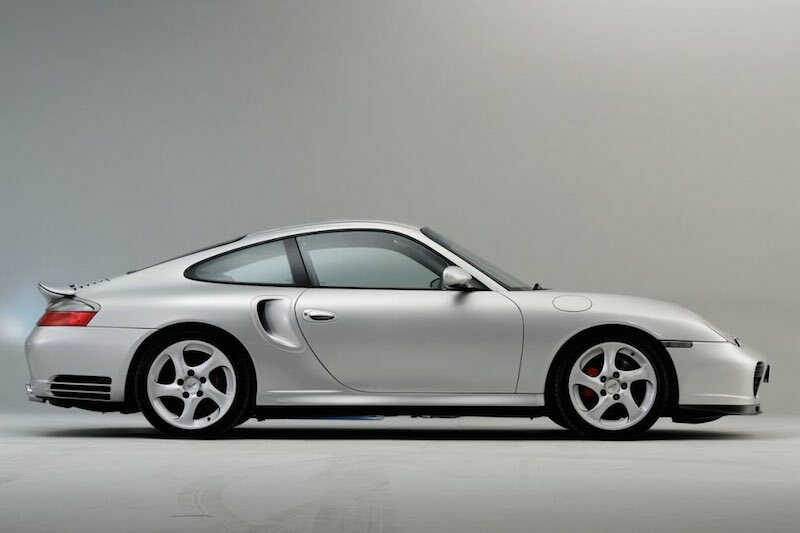 With the very limited production of the 996 GT2 and GT3, I think both of these are the best candidates for further appreciation as other Porsche collectors and the general market watchers realize how special they really are. What about the current model 911s. These are the last of the naturally aspirated. I agree. 991 C4S. Especially if you can find one with a power kit. 944 turbo S, 968s, 928gts and late 928s4. These will all be desire able in the next 5 years. The aircooled cars will be unobtainable for most. There is now doubt that the 5 speed manual 928’s will get a good boost in value. The newer the better, the 1986 and a half through early 90’s 5 Speed manuals making 300 horsepower will see very significant appreciation compared to many oil cooled 993’s that have already seen the sharp appreciation increases.. As the mid 80’s era teenagers have more disposable money to invest there will be even more interest in these cars. The 5 Speed manual S4’s and GT’s are already hard to find due to a almost a 90% automatic to 10% manual (in the later years) for U.S. delivery (IMO, in the later years, Porsche saw the 928 as a GT for the ultra successful urban businessman as daily driver) that and high quality ZF/Mercedes automatics explaining the automatics heavy, heavy automatics U.S. and have becoming up in value recently. The 93-95 928’s were very limited in production and have become out of reach to the everyday enthusiast. The 928 with manual transmission ( especially the GT’s) will be the next Porsche to see heavy appreciation! I find it interesting that 986 and 987 Boxters are still (relatively) unappreciated. The older (pre 981) Boxters feature mechanical steering and tighter proportions which combined with their mid engine layout make them one of the best handling convertible sports cars on the planet – ever. Electric steering and larger proportions on the 981 have turned the Boxter into a slightly more GT experience (though it is still a true sports car). Having said that – should Porsche go for turbo 4 cylinder power in the future, I believe that all flat 6 boxters (particularly the S models) – from 986 to 981 – HAVE to appreciate. Special models aside (such as the Spyder), I would say that the two cars that have the most potential to be collectible would be the original 986 (simply for being the first) and the 987.2 S (which is the last and best performing Boxter to feature mechanical handling and relatively rare thanks to being produced during the GFC). The fact that the 987.2 had no IMS issues and was the first Boxter to introduce the amazing PDK transmission also adds to it appeal. Many people don’t realise that a 987.2S can offer an arguably more tactile and balanced sports car experience than many a 911. A 987.2S with sports chrono and PDK would accelerate almost as quickly as a base 911 of the equivalent era too! Incidentally I believe that the Boxter is unappreciated and has the potential to outperform the Cayman for three simple reasons: 1. The Boxter was designed as a convertible and it is hard to perceive much difference in handling/performance compared to the Cayman. 2. The Boxter is more versatile in that it can offer an open car experience which is fun at low and fast speeds. 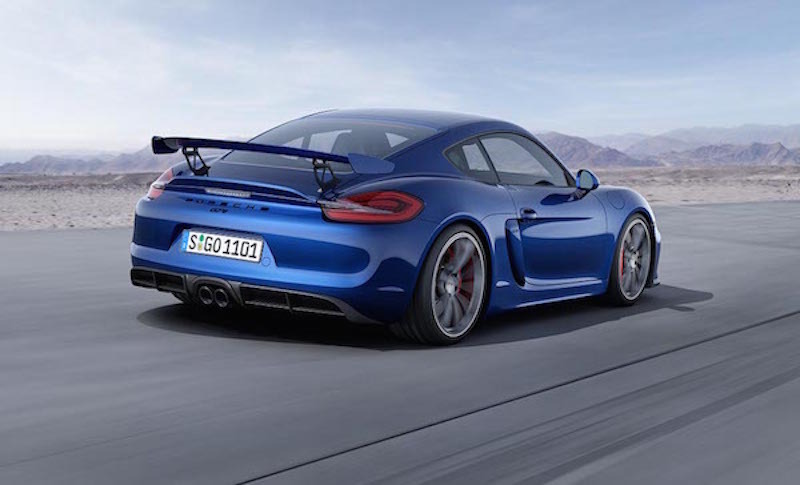 3. it is mooted that from 981.2 onwards, future Boxters will be priced higher than their Cayman siblings. This acknowledges the fact that convertibles often have a premium over their coupe siblings. Hence I would say that older Boxters should appreciate a little more (or at least depreciate a little less) compared to their Cayman siblings. I think the compromise on electronic handling is bearable – still highly precise to me. As such, I will surely hang on to my 981 – being the best looking (inside out) and last of the 9-series naturally aspirated sixes. I am in complete agreement with afficiando – though by the time my 987.2 Boxster S (PDK sport chrono) ever becomes ‘collectible’ – I’ll have put too many miles on it to matter. (‘Rhianna’ will never be a garage queen.) We rented a 981 for a weekend, then test drove one side by side with the 987.2. While beautiful, more sophisticated and comfortable, it just didn’t have the visceral, connected to the road feel of the 987.2 Now that Porsche has gone turbo/4 banger with electric steering, I feel especially lucky to have scored one of the last naturally aspirated hydraulic steering Boxster S’s – and wonder when the rest of the Porsche world will come to appreciate how good this last-of-a-breed sports car is. Totally agree with,i love boxsters i own a 2011 Spyder PDK and i’ve given surprises to more powerful and expensive cars,the car is a convertible and looks absolutely beautiful,i think im going to keep it for ever,and the sound of it’s engine is a symphony,it could have much better brakes,that’s the only fault,everything else is just fantastic. looks like the 996 turbo will pass the 997 turbo in price as there were around half the amount made of the 996 making the 996 turbo a great prospect but i prefer the look of the 997.
gt3 997 with clubsport pack is always a good investment but lacks the rear seats for the school run !!! I have just sold my 996 turbo cab,I paid 28,500 for it and spent 7,000 replacing a rusty turbo and and general servicing costs.The 996 had rapidly increased in value as long as they had not done any miles! I px mine for a 997 GTS with 28000 mls on it I received 35k towards the 62k selling price.The 997 GTS is faster than the 996 turbo and has much improved handling plus the noise is that of a proper sports car.I love the PDK box which is great compared to the tiptronic box and has the benefit of spot/sports plus which keeps the car in low gears as long as possible.I do believe the 997 GTS will eventually out perform the turbos in the investment markets as normally aspirated engines are always better than turbo charging. Sounds like you did well for your first time in. Good luck on the search and find something to hold onto and enjoy! I think it’s hard to go past a 964 C2 cab – last Porsche that was hand assembled, so short on the supply side, and has the last of the air cooled engines which were the best. Still has the classic looks yet comes with modern refinements, and the 5sp manual is hugely fun to drive with the top down and the boxer engine screaming behind you! Still a very affordable future classic, but prices have already started to rise. News flash! The 996 Turbo is the dream car for my generation (I’m 44). Remember, computers, video games, and the internet were made by and for my generation. We wanted a modern car to dream about and this was it. Everything before it just looked and felt old. I grew up and now the first MODERN Porsche supercar now sits in my garage. So, instead of bashing it, you should thank it for making the modern cars possible. Some of us still think it looks the best. Ya, I said it. So which 911 series will begin to appreciate next? Well, what is it that the collectors want? Taking all of these together, that leaves the 997 GT3 as the P-car that is likely to appreciate the most. In fact, it has already started appreciating a fair bit. I’m sure the GT2 will also go up, but its already pretty expensive and out of the reach of most people. Second to the GT3, I would predict that the 997.2 C2S with manual transmission will appreciate. There are also fewer 997.2s available because they were released after the financial crisis. I’m not too sure about the 997 turbo, because why is that unique when the whole line is going turbo? I do think 997 appreciation will eclipse 996 because of the headlight issue. Couldn’t agree with this entire statement more. Also, if you can afford the 50k mark on the 997.1 GT3 RS I believe those cars someday are going to bring big money. I watch with wonderment if our 928 GT (relatively rare, as it was only available as a manual) and our early Boxster will appreciate at all. These are great pieces of machinery, and we would expect them to gain value the upcoming years, especially the 928. ’04 4S Cab. Not many made. Best and last of the 996 non-turbos. All of the enhancements without the insurance and maintenance costs of a turbo. Plenty of power for most of us. I always notice a contradiction. we are all big fans of the NA engine and started weeping when Porsche introduced the Turbo engine this year. yet besides the GTs, I see all of you recommending to buy the Turbo version of older molders as the next Collection car and already the 993 Turbos are sky highy. I hope the next flyer will be the 968. I just bought one a few months ago and it’s fun to drive, easy to maintain, and actually fairly practical for a Porsche. I would also be looking closely at a 911 Black Edition – still available brand new N/A and manual. Surely won’t be many of those around and they will be the last ever N/A Carrera model… Choosing spec will be crucial though. Hi, ive owned 14 porsches at my tender age of 35 and I sold my manual seal grey 996tt with 86k on it for £35 k last summer. Thought id done well, as i bought it for £22k at xmas and wanted to try one out. I sold it to buy my dream car, aircooled 964 coupe (RS touring in all but name). Having made money on every porsche ive owned including my 986 boxster(!) these are the real ones to watch. The problem with anything post 2001 is that they just arent selling. You can look at all the prices online in the world, but there are literally thousands to choose from. There is no shortage. On the other hand you now try to find a good 964 coupe / turbo. Go on, have a look. Less than 3% of the rest of the cars for sale. AND – useable daily without the exhorbitant costs or water cooled stigma. As the 964 turbo 3.3 and 3.6 and RS continue to surpass the 993 (check the prices, it’s happening) the 964 will widely be regarded as the very best aircooled car ever made. Mark my words, the last affordable air cooled car (964) is going to fly past your 996/997/991 generation cars. If you dont believe me compare bog standard 3.0 SC prices from 2014 to now….. I would agree with you ,however , I think the 993 c2 will be the biggest riser due to it being the last Porsche air cooled , manuel of course with that great noise behind you .If you got a decent one today Id say in 3 years time you will make 25 % on its list price as long as its kept well .I would say that that particular car is the last of the hand built Porsches ,with the best engine and looks ,modern ,but still retro looking . 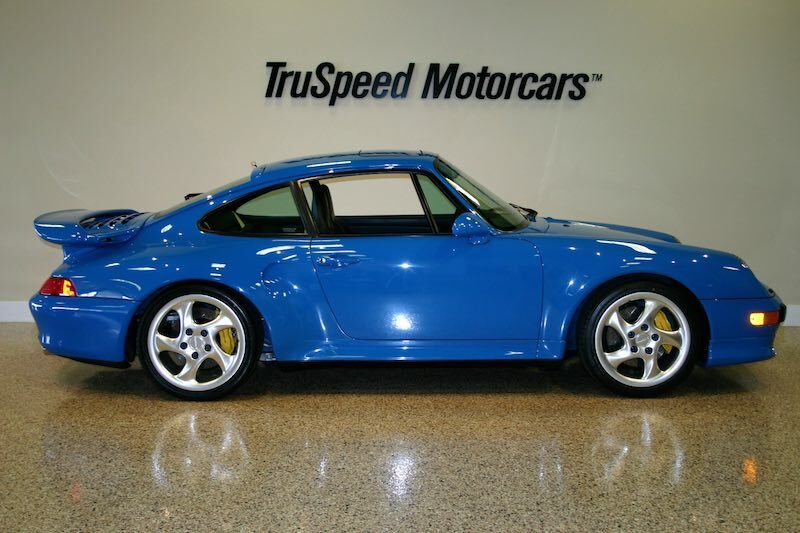 Ps – if i could, and had the money i’d buy as many 964 3.6 turbos as God would allow me and sit back and watch…. I’m with Howie on this one. It’s the 964 coupe hands down. Classic 911 styling, super air cooled performance. A true seat of the pants driving experience. Do I need to mention Singer? If your looking to buy one then you know how difficult it is to find one. I also wish God would allow me to buy a few more. PS – I have owned a 1988 911, 95 993 and 2002 996. I do not own a 928, so no bias here. I plan to buy 5 peed manual just because I want to take advantage of what one of these will see in appreciation over the next few years. I will be calling it a beautiful looking a stock market hedge. JB, I’m curious as to your thought process. Why do you see the ’16 Boxster Spyder as a “good long term investment”. Not being critical, just want to know what makes you think it will appreciate? I bought one 9 months ago, it has gone up $20-$30k on the Porsche website for resale. Fact is Porsche dealer called me and asked to buy the car back at $10K more than I paid for it within the first 7 months of ownership. I told the guy I’m not selling and he said “great choice”, and confirmed it would continue to go up in value. They only made the car for 1 year (2016), it has a naturally aspirated 911 S engine in it and only weighs 2,899lbs, available in 6 speed manual only. An 86 930 for $110K is it a good buy or no? here’s my assessment:996 turbo/gt2/gt3 – unknown to many, these cars have the great mezger engines that are very expensive to produce nowadays, clouded by the ims/rms problem of the 996 carreras, people will soon realize that the turbos and the gt aren’t affected and are a real true bred porsche race car dna. it’s face is not ugly like the first models of the oversized carrera headlights, but is proportionately extended just to look like the silhouette of classic porsches of the pre and post eras.997.1 turbo/gt3 – being the last of the mezger engines, it will be the tipping point of pound for pound value for money and performance. being almost perfect in every way, there is no other way for these to go but up. 2008 Limited Edition Cayman Sport MT is one you should consider that had not been mentioned. Only 95 sold in the States. All the right options for a 987. I bought one last year with 13K miles after selling my 993 C4S and had lots of cash left. Great car. Looks great, sounds great and drives like a dream. A great car in very limited numbers. It will take a while but I’m confident there will always be a market for it. 996’s are the way to go, IMS is correctable via the SOLUTION bearing no more costly than correcting the 2.7 [74 thru78] head stud problem of that period and see what those are going for now. Get yourself a small collection of 996’s for the cost of a new 911 and plan for retirement!!!!!!!! I agree. I bought a 2000 996 a year ago.Had the IMS Solution and RMS installed.It is a great car for the money..
I’d like to think that the 76/77 Carrera 3.0 will finally get the recognition that it deserves. For years, all I’ve heard is 2.7 Carrera and I can’t understand why? I’ve owned a 3.0 litre Carrera for 32 years, completing a total engine rebuild in early 2015. My mechanic’s words were, “you won’t know this car when you get it back” and he was spot on. North of 3000rpm,the thing’s a jet. Same crankcase as the 930 Turbo and same crankshaft as the 1973 RS Carrera. 3687 cars built over 76/77 for the world, as opposed to the 58000 911 SC’s and 76,500 3.2 Carrera’s. We replaced the shaft on our 2009 at about 130k miles. We used this version https://www.vertexauto.com/porsche-cayenne-upgraded-drive-shaft-rebuilt-p-10389.aspx (no affiliation).